He Golfs, I Scrap: HAPPY FALL! This card is about Happy! 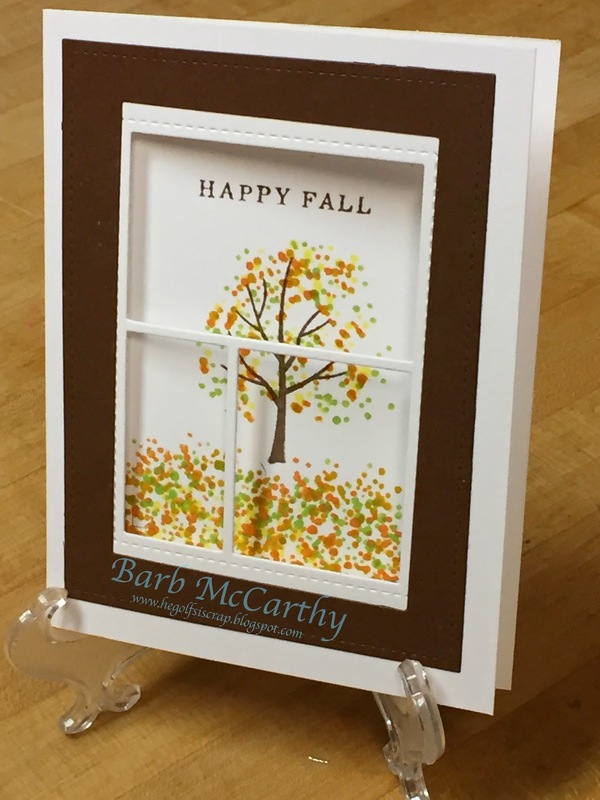 I am happy to receive my new Hero Arts Color Layering Fall Trees!!! I love this set! I used it with Pretty Pink Posh's Storybook 1 Die! A Blog Named Hero's Happy Challenge! ABNH has the Linky up so you can enter your wonderful Fall card. Like the window look to it.